Homepage » Free Crochet Patterns » This Guardian Crochet Angel Pattern Is A Must-Have Decoration ! This Guardian Crochet Angel Pattern Is A Must-Have Decoration ! [Free Pattern] You Won’t Believe How Simple Is To Make This Beautiful Octagon Motif! [Free Pattern] It Only Takes 5-1/2 Hours To Make This Amazing Throw! Thanks to Camilla for the article inspiration and featured image. 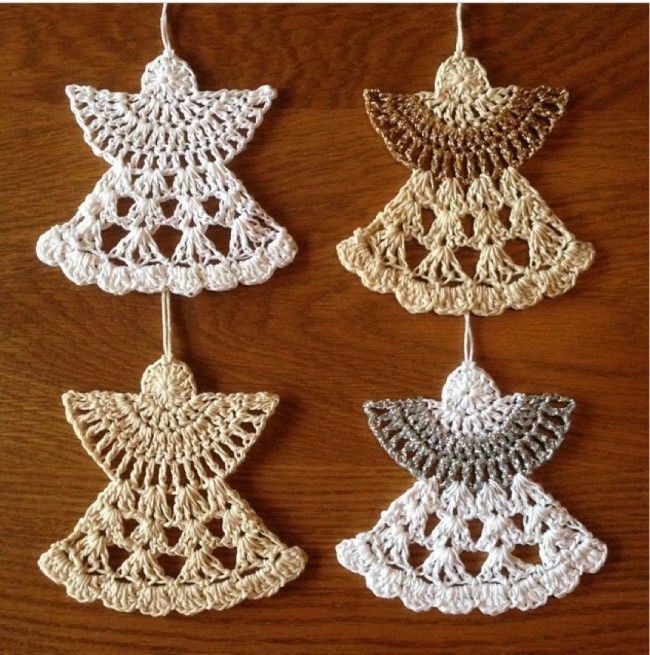 57 Comments to This Guardian Crochet Angel Pattern Is A Must-Have Decoration ! I love angels so I’m going to have to check this out. Can’t get the pattern it won’t open. I’ll try again later. when I try to load the page I keep getting error page.It is doing it for most of your posts for me. Tried multiple times to do a copy of the pattern – but the site will not allow it to be coped. Any suggestions? Patricia please try again, the error has been fixed. It should be working fine by now. Sorry for the trouble. Joyce, the pattern is always in the name of the patternn. Please click the Guardian Angel words. It should work fine. Cant copy the pattern!!!! Such a beautiful pattern…what a shame I cannot copy it and make them!! Kathy, to get to the pattern’s page please click the name of the pattern: Guardian Angel. To print the pattern you can choose the Print option from your browser’s menu. You will print the all page, not only the pattern. Hope this helps. Michele, try to print the whole page. Choose Print option from the top menu on your browser. Hope iit helps. I can’t get this to open. Still doesn’t work it takes to long to load and times out. Loses connection. That’s okay I’ll pass. DailyCrochet.com Thank you for the print hint! I don’t know why I can’t open any of your posts. It always says “This webpage is not available” ERR_CONNECTION_TIMED_OUT. I would really like to look at your great patterns. I love you angels . These patterns are all beautiful, but try to get them!! Kathy, try to print the whole page. Choose Print option from the top menu on your browser. Hope it helps. Joyce, please try again. The issues with the site have been solved. Thanks for your undertanding. Dodi, please try again. The issues with the site have been solved. Thanks for your undertanding. These are some I made before Christmas this past year! Can you just bookmark the page, Patricia? Made a bunch of these n made a garland out of them. Turned out great. 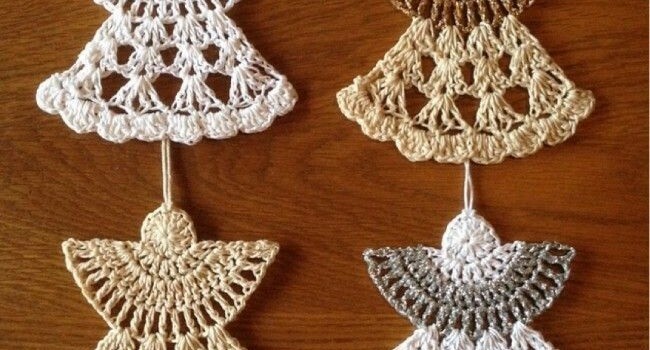 My Oma used to make these. ThankYou for sharing this very lovely lil’ Angel with all of us ! I’m anxious to make this !! jarbo yarn. Is there a substitute that will work as well? Love this little angel. My problem is very first round. Chain 12 DC, finish with 1Sl St in ch 3, where is this chain 3? It mentions finishing in ch on other rows,too. I’m still learning discerning pattern directions. Please, Please, help!